Mark Thallman recently attended a bull sale with his farther-in-law to help him buy a bull. He was annoyed to find out the embryo transfer calves only had parent average EPDs. This annoyed Thallman because his masters thesis had been focused on calculating EPDs using data from embryo transfer calves. Thallman also speculates that herds using within herd genetic evaluations are due to frustrations with the genetic evaluations published by breed associations. Thallman also points out that we need better fertility EPDs. Stayability EPDs were a good first step, but we can do better. 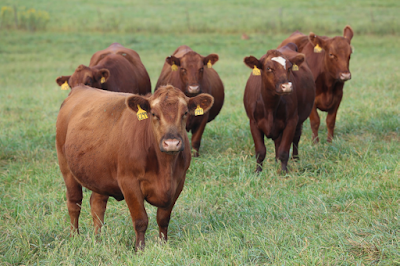 He suggests implementing fitting Days to Calving and Pregnant/Open as separate traits. He also envisions fitting each parity as separate pairs of traits in a 6-trait model. Thallman also sees a "build it and the data will come" strategy working best. We have also failed to implement and use visual scores such as structural soundness, udder soundness, and sheath scores. Should we score breeders on how biased their submitted data is? 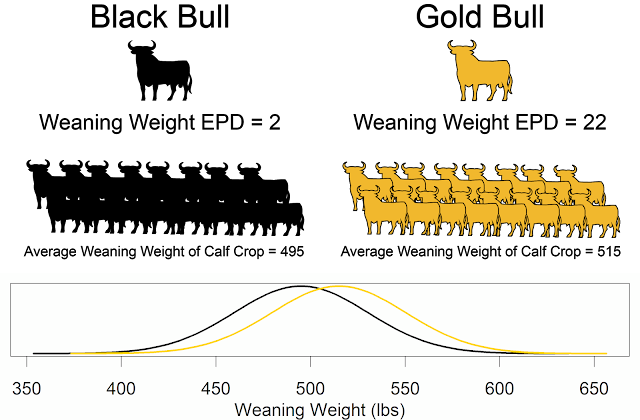 We could then regress their EPDs back to the breed average based on the quality of their data. We also need better decision support software. Unfortunately, as funding for national cattle evaluation research dried up, the development of decision support software lost steam.